Research has shown that traumatic childhood experiences can affect an individual's health later in life. The researchers will study immune responses based on age, and whether or not stressful life experiences like physical or mental abuse, poverty, or adversity such as chaos in the home or neglect, can increase resistance to vaccines. About 250 people ranging from age 18 to 85 will participate in the study. During the first of several lab visits over three weeks, each participant will have blood drawn and they will receive a flu vaccine. Participants will also complete questionnaires about past and current exposure to stress. Research has shown that childhood experiences such as living in a household with divorced parents, living with a person suffering from a severe mental illness, or having someone in the home become incarcerated can affect an individual’s health later in life. Ehrlich hopes to further this research by identifying which stressful experiences are most linked to vaccine responses. Another group of researchers led by Ted Ross, director of the Center for Vaccines and Immunology in UGA’s College of Veterinary Medicine, will analyze two important factors in each participant: blood cell production and antibody production. Antibodies are proteins that our bodies develop to fight bacteria and viruses. Depending on the type of antibodies, they can take up to seven days to develop. 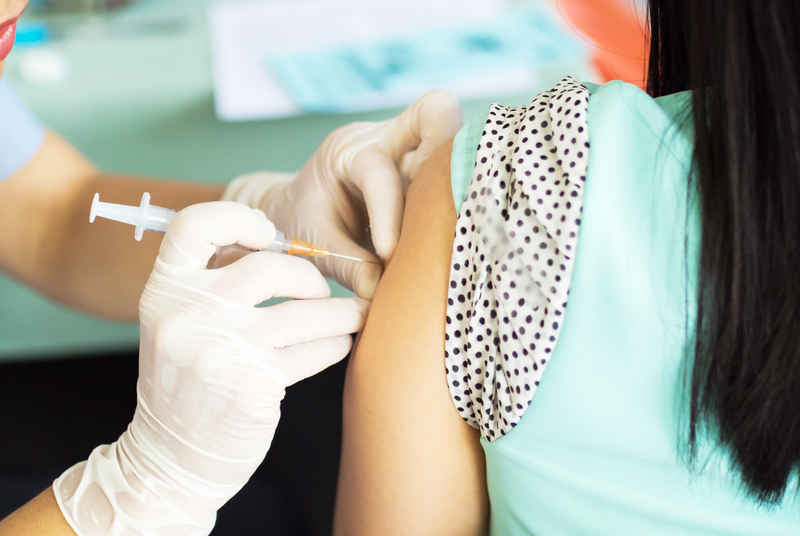 Long-term antibodies can take between 14 and 21 days to develop, which is why people get vaccines prior to the flu season to prevent infection. To measure the amount of blood cells and antibodies that participants have produced, blood will be drawn three days, seven days, and 21 days after receiving the flu vaccine. Ehrlich will look for correlations between low antibody production and stressful experiences, while Ross will look for an increase in the number of antibodies that participants produce. Ehrlich and Ross plan to recreate this study with an emphasis on teenagers within the Athens community. Thanks to an internal seed grant initiative within the Clinical and Translational Research Unit, Ehrlich and Ross will be able to recruit 100 teens to answer questionnaires about their social experiences and stress. They will have blood draws and receive the flu vaccine, then return three weeks later so Ross can look at their antibody production. Funded by the University of Georgia’s office of research, this study is part of the university’s efforts to increase interdisciplinary research among UGA faculty. Other collaborators include Glen Nowak, professor of advertising and public relations in UGA’s Grady College of Journalism and Communication and director of the Center for Health and Risk Communication. Also involved is Jonathan Murrow, campus associate dean of research for the Augusta University-University of Georgia Medical Partnership.